Here is today's progress. Not too shabby...I hope to be down to the toe decreases tomorrow. I really want to be done with this one by the weekend. I already have another sock that needs the toe grafted. 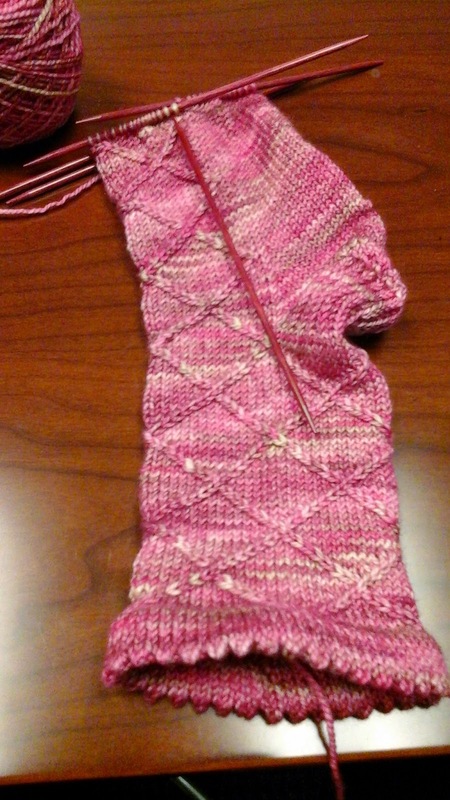 Then I need to complete the second sock for that pair. Fortunately, those socks are for Princess #1, so they are small and go quickly. How is your Christmas knitting coming?